Boozy brunching just got boozier. 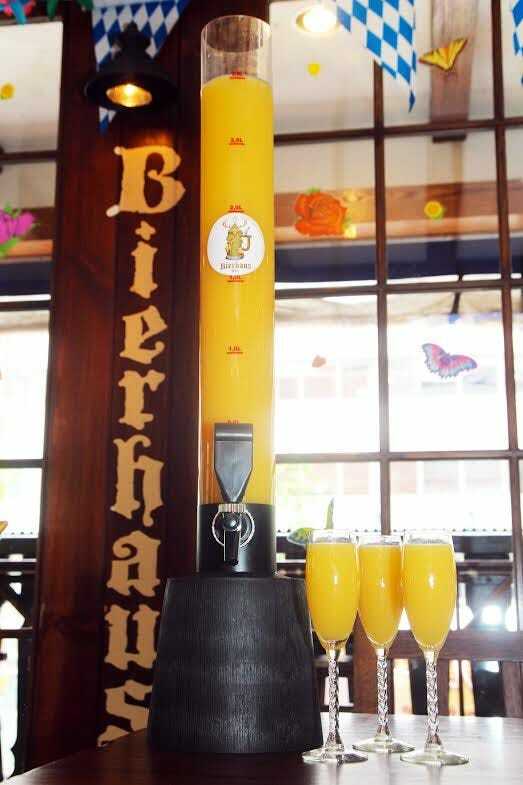 Bierhaus NYC is a German pub in New York City that embodies the essence of Oktoberfest. They serve beer by the half-litre, litre, and two litre boot, so naturally, a Mimosa Tower was next on the list. 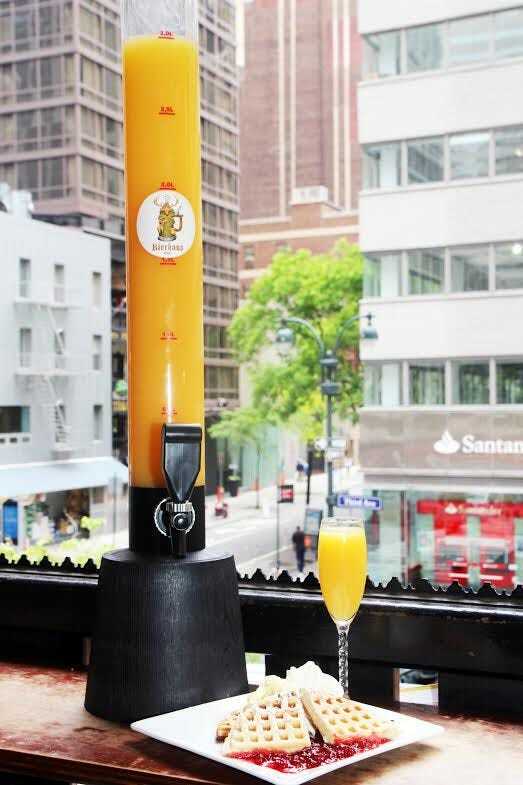 Say goodbye to bottomless brunches because these mimosa towers are soaring high above them. The tower is filled with champagne and orange juice, and people can choose between three different bottles of champagne: J. Roget Brut ($40), Mionetto Prosecco Brut Gold Label ($60), and Nano Asti ($80). “Instead of doing a timed bottomless, we thought people would enjoy serving themselves and not having to worry about flagging down a server for every refill or worrying about a time limit,” said Danielle Vito, marketing associate of Bierhaus NYC. Speaking of time limits, there isn’t one. It is, however, only offered during brunch on Saturdays and all day Sunday.